The MailEnable Exchange Activesync module is widely considered as one of the leading messaging infrastructure for good reasons. One, users have a wide range of features and functions including email access, contacts and groups, folders and files, tasks and calendars, among others. Secondly, the Microsoft Exchange Activesync platform can be accessed via laptops and desktops as well as mobile devices, such as smartphones and tablets. Indeed, these are the best reasons that businesses should get Exchange Activesync as soon as possible. Microsoft Exchange Activesync, also known as EAS among its satisfied clients, is an email protocol designed for real-time synchronisation of actions made in a messaging server, such as MailEnable, to an Internet-connected mobile devices, such as smartphones and tablets. Thus, actions related to emails, contacts, tasks, notes and calendars are synchronized in real time between the two platforms. Today, Exchange Activesync is considered as the de facto standard for real-time, effective and efficient synchronization between mobile devices and groupware, MailEnable included. In a modern world where information is a valuable resource, often more valuable than other assets like cash, property and marketable investments, the fast, easy and convenient access to it anytime, anywhere is a must for success. 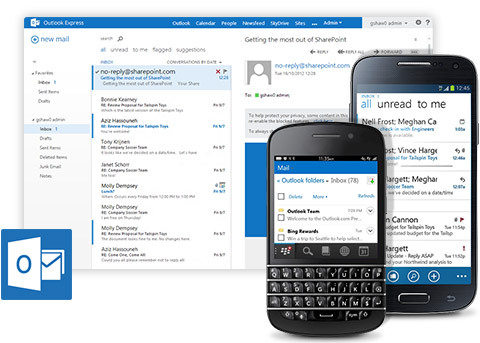 With Exchange Activesync, such access is made possible. On-the-go, real-time access to information from a central database is of crucial importance to businessmen and their employees on the field. Think of salespersons on client calls, engineers on construction sites, and relief workers in disaster areas, as well as supervisors, managers and executives who must be in constant communication with their subordinates. With Microsoft Exchange Activesync, glitches in synchronisation are rare. Even with glitches, the service provider has excellent customer support on hand thus enabling businesses to enjoy the benefits of synchronization. This is the heart of the Exchange Activesync protocol. Push technology means that the changes made on Internet-connected mobile devices are synchronized in real-time mode – no polling required. As such, every user will be updated about the latest changes made on their tasks, calendars and notes options, among other shared folders. Again, reliable information is crucial for worker productivity and, hence, business profitability. For example, when you make appointment for salespersons on the field, you can send out electronic invitations that your recipients can then accept, deny or suggest another time. Everybody will then be notified about any changes to the planned meeting, thus, ensuring that worker productivity is kept high (i.e., no wasted time and resources lost). Why get several applications for synchronization when you can have just one? The Exchange Activesync protocol is designed for comprehensive synchronisation, even migration, of all the components in the email server including emails, folders, contacts, calendars, tasks and notes in a single step. Did you know that Microsoft Exchange Activesync has 18 patented methods designed for the improvement of speed in synching transmissions? This means that the system is well-known for its efficiency in synchronization – look, Ma, no glitches. The Exchange Activesync protocol is compatible with virtually all mobile devices and firmware, including Apple, Nokia, Motorola, Sony Ericsson, Symbian, and Palm, among others. You can choose which devices you want to integrate the protocol and it will work just as well. Of course, MailEnable Exchange Activesync has its monetary costs but with all of these benefits for your business, it is an excellent investment indeed.